There are plenty of reasons why park home living might be for you, whether it be the modern, comfortable accommodation or the sense of community that they provide. The UK is currently seeing more and more people turning to park home living for many different reasons including downsizing after they retire, or to own property despite the spiraling prices in the bricks and mortar housing market. However, one concern that some people who are considering moving to a park home might have is the level of maintenance that a park home might bring with it, especially for older residents. In this blog article we look at just how much maintenance a park home requires and how that compares to maintaining a bricks and mortar home. Just how much maintenance does a park home require? Generally speaking, park homes are very low maintenance and energy efficient properties which are much easier to look after than their bricks and mortar alternatives – it is one of the benefits of park home living that is particularly attractive to retirees. A careful combination of using the most modern materials and intelligent and innovative design and construction techniques means that park homes have been designed with making things as easy as possible for you to look after in mind. The fact that park homes are all one-storey buildings also goes a long way to making them so easy to maintain. However, if anything does need to be replaced, most of the items needed to carry out the repair are standard items which can easily be found on the high street or in DIY stores. Appliances used in park homes are the same sized appliances that are available in high street retailers, making them easy to find if they need to be replaced and parts are readily available in case a repair is required. Park homes are also designed with longevity in mind, and as long as you do keep on top of all the little maintenance jobs that might crop up, you can generally expect a well-built park home to last for as long as 50 years. There will of course be some maintenance for park home gardens, read our blog on how to minimise garden maintenance in a park home. One area of all park homes that is worthy of particular attention is the chassis. This is the underbody of the park home and is usually a galvanized steel framework that is anchored to the ground to support the park home and a series of beams that support the floor. Despite the galvanized steel construction, it is particularly important to protect the chassis from corrosion – especially in sea-side areas where the air can be salty. The chassis can be protected by application of corrosion inhibiting paints. This should protect the chassis for at least five years between applications. Taking the time to visit a manufacturer and seeing how park homes are made is well worth doing. You really shouldn’t expect to have to do any structural maintenance at all within the first ten years of a brand new park home, except perhaps for the odd coating of external paint every few years. You should, of course get your gas appliances checked each year with a gas safety check. The same goes for your electrical installation too. You may even find that it is a requirement of your park that you have in-date certificates for each of these. Many parks will have the contact details of a plumber and electrician who perform these checks. Often there is a discount scheme in place for parks where people group together and get their checks all performed by the same company so it pays to ask your site manager about this. A park home which is over 20 years old will be nearing the point where it could need a new roof or re-cladding. For this reason, we recommend that anyone purchasing a park home which is over ten years old should have a full survey carried out so that you’ve got that extra peace of mind. Although it is worth keeping in mind that repair work of this nature will be cheaper on a park home than it would be on a bricks and mortar home, so repairs of this nature shouldn’t put you off a purchase, it’s just good to be aware of them and to calculate their cost into your financial plans for purchasing the home. Certain repairs will be the responsibility of the park home site itself and not you as a home owner. This work will be looked after by the park owner and covered by your pitch fee. These include the base (or pad) which your park home is situated on, street lighting, any pipes, wires or tanks which provide water, electricity or gas to the home. Work on these essential parts of your park home installation should only be carried out by the grounds and maintenance staff of the park home site. Also any trees, hedges or shrubs and any things such as boundary fences and drains will fall into the responsibility of the park maintenance staff. The park will usually have a site manager who will be on hand to assist you with any maintenance issues that might arise. They may even be prepared to carry out work that is your responsibility if you feel that it is not within your capability. There is likely to be a charge for this work, but it should be very competitively priced. It’s important to know your rights on what you are responsible for the upkeep of and what is the responsibility of the site owner, so be sure that you clarify all of this during the purchase process and get your responsibilities and those of the park home site in writing. 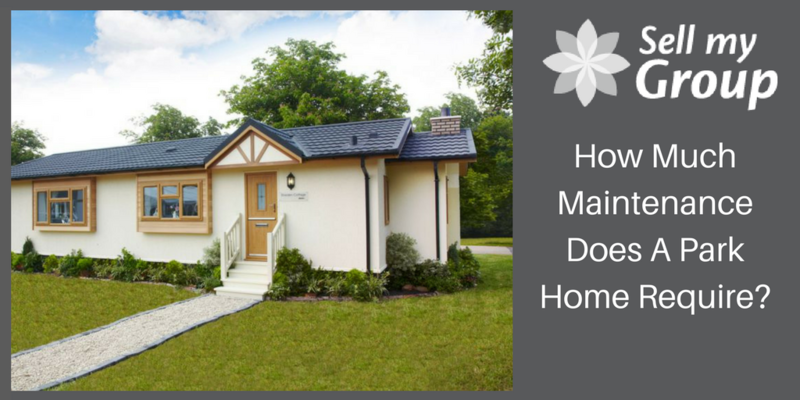 If you are thinking of purchasing a park home, you can read our blog on choosing the best park home.